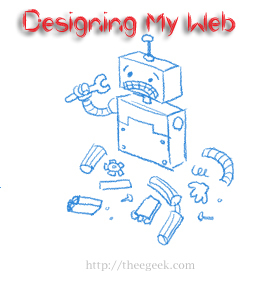 Web designers have to play multiple roles while building an creative website. If possible start with blank canvas, do planning, choose right path & implement your ideas. You can optimize the images which are using on your blogs; plenty of tools are available for optimizing images. To improve performance of your web page, use limited but smart & meaningful images. Your message should get convey through images, and then only images will be useful! Your website should be scalable & reliable towards user. Use alternative text like tags for images. You need not always to compromise with your graphics, but still you can design your creativity by adding only required features with being a high-usability web design, your user’s should interact friendly with your digital life interface. Always make sure page element is having its own purpose & task. Be unique, but also be creative & try to keep it simple! Include tagline, use sitemaps. You can use ‘KISS’ theory. [Keep It Short & Simple]. Website’s navigation feature is very important. In previous articles I mentioned that you should organize your application or website data in such a manner that yourself can easily get required information at any time. Do planning of your site’s navigation structure. Planning plays magical role before hard work starts. Your navigation design should work without CSS also. If you avoid client side technologies, it is better & fast. In hierarchical manner organization of site, navigation from parent to child pages should be easy. For readability of your website content, you should contrast colors for text, backgrounds in enhanced way. Try different color combinations. Always try to use standard layouts. Use different fonts up to some limit, fix total fonts, also use standard font families. If you have designed good, also your main content is useful for peoples, then you can do search engine optimization, you can follow strategic approach of SEO. SEO will help you to improve your index in searches, if your information is worth useful, your traffic will definitely increase. Test your web pages in all types of browsers. Find and analyze website purpose & business logic. Give first priority to user requirements. If you want o design your site successfully then think on user’s advices, what the changes user wants in your environment. Make your designs such as maintainable & flexible. Your design should be able to cope up with upgrades in your site. Your users come to read your content, not to see your website ads, or to see is you are with adSense, so don’t overstuff your website with ads, it will definitely affect your design’s creativity. Treat ads as you are going to treat your website images. Give meaningful feedback to user’s questions. You should do communication in good manner with your visitors. Both way feedbacks are important. So, you should always try to implement your ideas coming from your mind, with the advance tools & utilities bit try all things manually to better optimizing your website. That’s all for today!